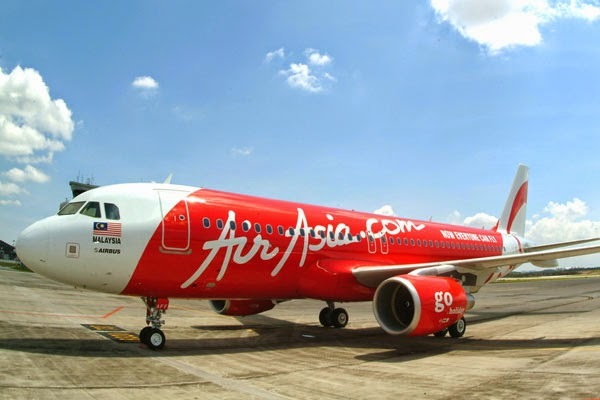 An AirAsia Airbus A320-200 has gone missing on a flight from Surabaya, Indonesia, to Singapore, shortly after the pilots requested to change the flightplan because of weather, the airline said today. The plane, flight QZ8501, which reportedly had 162 people on board, lost contact at 7:24 a.m. local time near Belitung Island, Indonesia, according to a statement from AirAsia. It was scheduled to land in Singapore at 8:30 a.m. local time. The aircraft was on the submitted flight plan but was requesting deviation due to enroute weather before communication with the aircraft was lost while it was still under the control of the Indonesian Air Traffic Control, AirAsia said. The Indonesia air transportation director said the plane requested to increase altitude to 38,000 feet from 32,000 feet to "avoid clouds." According to flight tracking website Flightradar24, the jet was flying at the regular cruising altitude for most jetliners -- 32,000 feet -- when the signal was lost. "At the present time we unfortunately have no further information regarding the status of the passengers and crew members on board, but we will keep all parties informed as more information becomes available," AirAsia said. The captain in command had a total of 6,100 flying hours and the first officer a total of 2,275 flying hours, according to the airline. The aircraft had undergone its last scheduled maintenance on 16 November 2014. The flight manifest for the the Airbus A320-200, with the registration number PK-AXC, released by the Indonesian authorities said there were 155 passengers on board, including one infant and 16 children. Of the pasengers, 157 were Indonesians, three were South Korean, and there was one traveler each from Malaysia and Singapore, according to AirAsia. Search and rescue operations were in progress, AirAsia said.